School supply lists are getting longer and parents can feel financially frazzled by the pressures of back-to-school shopping. The average Canadian family spent a whopping $890 on supplies and clothing, according to a recent survey by RetailMeNot Inc. Driving up those costs, which are double that spent five years ago, are tech items like software, tablets and apps. Worry not, there are effective ways to save money during the back-to-school season by getting creatively frugal. Before you race out to the mall, take into account of what you already have. Then, form your list based on what your child needs. If you’ve got supplies you don’t need, like a backpack or calculator, sell them. If no one buys your leftovers, donate to a local charity. For gently used items like computers, books or clothing, hit up thrift shops, garage sales, neighbourhood clothing exchanges, eBay or Kijiji. When I was in high school and university, I bought my computers and books second-hand, which saved my parents and me thousands of dollars. 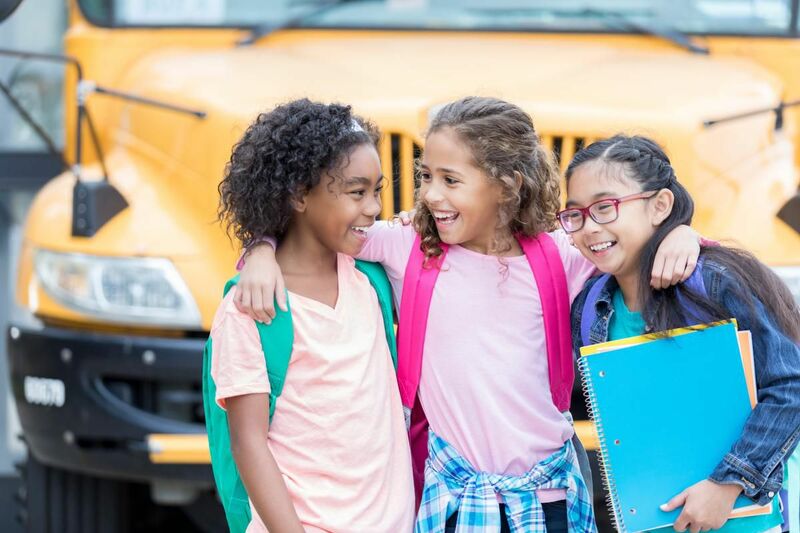 Big-box stores like Costco, Walmart, Loblaws and Amazon carry a wide variety of back-to-school inventory at affordable prices. A 2017 survey by eBay Canada suggested that close to 55 per cent of Canadian families will shop online for supplies to compare prices, then have the items conveniently delivered. I know. I know. It’s August and you can’t go back in time. Prepare for next year by spreading out your child’s back-to-school purchases. Typically in October, stores blow out their September inventories at clearance prices. In today’s schooling system, it’s often implied your child will fall behind without access to the right technologies. However, this doesn’t mean you should rush out to buy the latest MacBook Pro. Get a clear understanding of the type of work the school will assign, then select the appropriate technology. Must the work be conducted on Photoshop? Or can a free service, like Pixlr, be used? Your kids can also share a family computer and tablet. All parents want to equip their children with the right levels of support they need to succeed. But you don’t need to break the bank on back-to-school clothing and supplies. If you’re around to help with homework, talk through challenges and are a source of positive encouragement, that’s what a child remembers.